So you’re a design-minded, creative person interested in visual merchandising? You may be wondering how to get your foot in the door or what the day-to-day life of a visual merchandiser is like. To help you get started, below is visual merchandising career information including the outlook for careers in the field of visual merchandising and tips for landing a visual merchandising job. The fashion industry is expanding throughout the world. Globaldata.com predicts that the clothing, accessories, and footwear market will be worth in excess of 2.2 trillion U.S. dollars by 2019 and more than 25 million people work in the apparel and accessories sector worldwide. Visual merchandisers who can create enticing store environments and creative displays that move products are in demand. The fashion industry thrives on developing new styles, designs, and merchandise. This makes a talented visual merchandiser a valuable asset to a fashion business. As brick-and-mortar retail stores compete with online shopping platforms, there is ever-greater emphasis on the in-store customer experience. Visual merchandisers who understand their customers and can develop strategies to improve their shopping experience will continue to be highly valuable to retail employers. What’s more, the visual merchandiser’s skill set is important to virtually all sectors of the fashion and related industries. This means that visual merchandisers may find career opportunities in any number of niche industries and markets. Courses in visual studies focus on design and product presentation principles, as well as fashion trend analysis and other business concepts. A visual merchandising or a visual studies degree prepares graduates for careers in visual merchandising, as well as a variety of creative careers across a broad range of industries. Job Description: Visual merchandisers conceive and implement creative product displays and other visual elements in a retail store. Their goal is to establish a distinctive atmosphere and aesthetic to drive customers’ in-store purchase decisions. Relying on their imagination and design know-how, visual merchandisers may craft window installations, in-store displays, poster art, seasonal decorations, as well as other in-store dimensional marketing techniques. Visual merchandisers are creative, yet they also have a firm grasp on the business of fashion. Since their main objective is to increase sales, a visual merchandiser will use their business knowledge, particularly in merchandising fundamentals and fashion trend analysis, to inform their designs. A career path may begin with a position as a visual merchandising assistant and then advance to visual merchandising coordinator or director positions. Job Description: A store planner plans the visual layout of merchandise in the store. Store planners may use computer-aided design (CAD) software to map out visual displays and product placement. Much like a visual merchandiser, the store planner blends creativity with market research to create effective display strategies and determine display locations. By positioning an eye-catching display or a promotional item in just the right place, a store planner can help move merchandise and drive sales. Store planners are also often involved in tracking and stocking inventory and making stocking decisions. Job Description: Merchandise analysts monitor inventory and chart a store’s sales and profits. They are also responsible for determining the risks and benefits of products in inventory. Paying close attention to consumer buying patterns, merchandising analysts use these insights to design inventory displays that result in product sales. Merchandising analysts often work with buyers, managers, and executives, presenting their findings on sales trends. Merchandise analysts are often involved in decision-making about inventory management and purchasing, with the aim of increasing revenue and minimizing loss. Merchandise analysts need strong analytical and organizational abilities, and have knowledge about finance and inventory reporting. Given the tight deadlines merchandising analysts often work within, these professionals should be good with time management. Merchandising analysts should also have strong written and oral communication skills to facilitate cross-departmental work. Visual merchandising is a subset of fashion marketing, and is anticipated to grow in importance in the coming years. The U.S. Bureau of Labor Statistics (BLS) anticipates that all marketing managers (not fashion-specific) will see an employment increase of 9% between the years 2014 and 2024. Visual merchandising specifically is often cited as an in-demand profession as a result of the evolving relationship between retail and design. The visual merchandising career path requires a combination of education and experience in product display and merchandising. While educational requirements can vary by employer, most prefer applicants who have earned a degree from a reputable fashion school. Your employment prospects will be better if you have a combination of hands-on experience and in-class knowledge. LIM College’s Visual Studies degree program blends practical and theoretical instruction with hands-on practice and internships to prepare you for a rewarding visual merchandising career. Interested in starting down the path to a career in visual merchandising? LIM College offers a specialized Visual Studies degree program that will prepare you for a career in visual merchandising, as well as other creative careers across a broad range of industries, including exhibit installation and design, set design, and digital design and production. In LIM College's Bachelor of Business Administration (BBA) in Visual Studies degree program you will develop creative and technological skills, while also taking core business courses. Whether in a computer lab, photography studio, or in an actual professional workplace, your learning will be focused on skills and knowledge that can be applied in a variety of creative careers across a broad range of industries, including traditional retail visual merchandising, exhibition design/installation, and set design/photo styling. 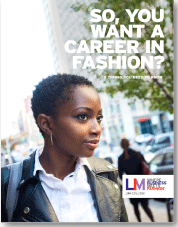 Continue to explore this field and learn more about careers in the business of fashion.